The Khelo India Youth Games 2019 were declared open in Pune on Wednesday in the presence of a host of sports personalities including double Olympic medallist wrestler Sushil Kumar. 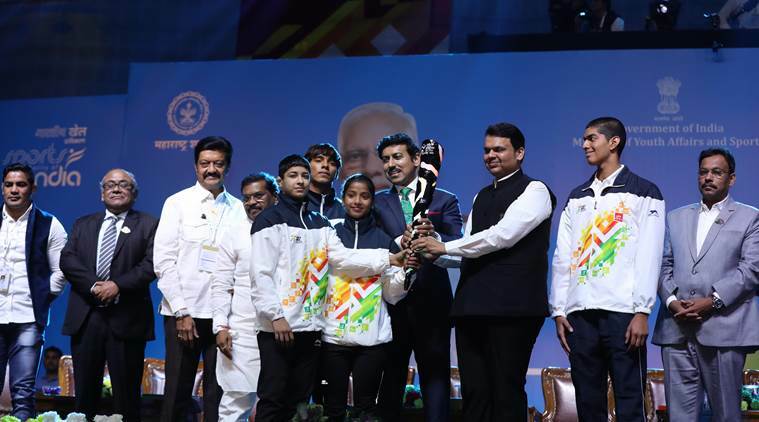 Maharashtra Chief Minister Devendra Fadnavis and Union Sports Minister Rajyavardhan Singh Rathore received the virtual torch before Rathore joined athletes in taking the pledge as the Games were declared open at the Shiv Chhatrapati Sports Complex, a media release issued said. Prime Minister Narendra Modi’s message was read out and displayed on the occasion. Several sportspersons including Sushil Kumar, Olympian hockey winners Gurbux Singh and Ajit Pal Singh, badminton legend P Gopichand, shooter Gagan Narang, gymnasts Dipa Karmakar and legendary woman footballer Bem Bem Devi were present. The ceremony officially kicked off the 12-day extravaganza for over 6,000 Under-17 and Under-21 athletes. Eighteen disciplines are being contested including athletics, badminton, boxing, hockey and football.